It has been another beautiful day in the Chicago Area! I started out my day by playing tennis with another former teammate this morning. My shots were a bit off and again I need to work on my consistency. I made sure I kept drinking water so I don’t feel the way I did on Sunday night. After playing, I picked up a bottle of Spirulina tablets. I have been hearing a lot about Spirulina lately and I thought I would include it in my diet. Spirulina is a blue-green algae which is a “superfood” and immune booster. It is also a rich source of natural, plant-based iron, calcium, vitamin A and vitamin C, and an excellent source of plant protein, with up to 70% of its dry weight being protein. I just started taking it today so I will report on how I’m feeling after a week. I was back at work tonight after having the day off yesterday. As usual, I did a bunch of walking around and had a good night at work. I worked out to Max Cardio Conditioning and Cardio Abs as soon as I got home. I had a great workout regardless of how my body was feeling. I was feeling a little pain when I walked in my bladder. Let’s just say I made a big mistake by not going to the washroom until after work. I’m hoping the pain will go away once I wake up in the morning and it’s nothing major. I’ll be playing tennis again and I’m going to try to get my workout in before I go to work too. What the…I fell asleep at 9:00pm last night and woke up at noon! I slept for 14 hours and I guess working in the sun yesterday really took a lot out of me. I even fell asleep in the clothes I went to work in. I woke up at 6:00am and woke up a few more times after that and I still managed to go back to sleep. The same thing happened to one of the girls I work with yesterday too. We were supposed to go to the movies but both of us passed out super early. We were thinking maybe we had a very minor heat stroke which is a crazy, yet scary thought. I made sure I drank enough water yesterday. I have been putting off my fourth Fit Test from last Monday and I finally did it today after I woke up. 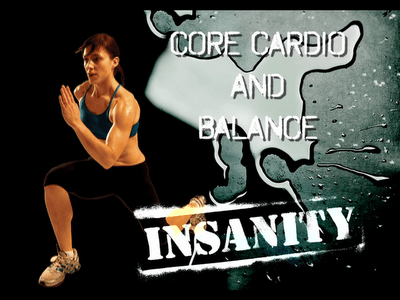 There’s only a week left to my second round of Insanity but better late than never! I improved a tiny bit in most of the moves in this Fit Test. Following the Fit Test, I relaxed for the rest of the afternoon because I still had a small headache. I had a headache before I went to bed last night too. My skin was feeling hot like I was in the sun even though I was inside the whole day. I need to cool down and keep drinking water. I heard drinking coconut water is a great way to stay hydrated so I picked up a couple of them from the grocery store before I picked up my friend from the airport. I did a late workout to Max Interval Plyo when I got home and I was feeling a little better from earlier. I drank a lot of water during my workout and took a few more breaks than usual so I don’t get too tired. I had a good workout either way. Even though it’s late, I’m still wide awake. I guess that’s what I get for sleeping 14 hours. I’m going to be playing tennis early tomorrow morning so I better force myself to bed.